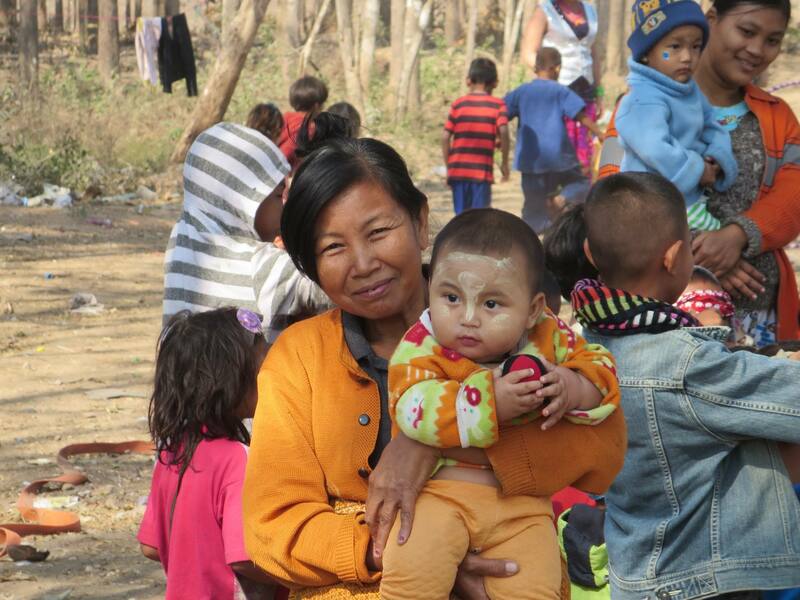 Project Heart Work assists and supports small independently-run programs like Eyes to Burma by providing the means to help them fully reach their potential. They are an early and long-time supporter of ETB. They raise funds, buy goods, and deliver them to the dump several times a year. In January 2014, members of the Project Heart Work team, including founder Jen and her mother Wendy, worked with Fred helping with first aid and doing other necessary tasks for the community. They donated two months’ worth of fish and rice, cooking oil, soap, medicine, and other important goods, including special mosquito nets for all 100 houses! They also bought cleaning supplies and plastic sheeting for the community from local stores and merchants. In March, Project Heart Work made another donation, which has been incredibly helpful. Spark! Circus also received assistance from Project Heart Work, and the volunteer circus performers were able to visit the dump in January to share some joy and silliness with everyone. Spark! Circus has been coming to Mae Sot for the last few years. The organization is made up of volunteers from all over the world, who are circus performers, street performers, and fire dancers, led by their director and ringmaster Andrea Russell. Spark Circus puts on multiple performances throughout Thailand, and Project Heart Work helps to provide funding for transportation costs. Last year they approached Fred about putting on a fire show at the garbage dump. It was incredibly successful and they said it was the most engaged audience they had ever had. This year they came back and put on two performances. The first was the morning of Saturday, January 25th, for about two hours. The performance was for smaller children, and included hula-hoops, juggling, music, and dancing. The performance got all of the children to participate. They were all laughing and excited. Fred had never seen them have so much fun. Additionally, ETB supplied all the kids with fresh fruit, oranges, and watermelons. In the evening the troupe returned for fire dancing which which brought out the whole community, over 300 people. Once again, the performance was incredibly successful, and everyone had a great time. A big thanks to Project Heart Work and Spark! Circus, hopefully you will return once again next year!